I am currently a Clinical Pathology resident at Massachusetts General Hospital. My interest is in combining immunology with bioengineering to understand how our bodies deal with the invisible but rich microbiological world in which we are immersed. For my PhD in Immunology, I studied how cervicovaginal bacteria and injectable hormonal contraceptives impact genital inflammation and a woman’s risk of acquiring HIV. I'm also a co-founder of Day Zero Diagnostics, an early start-up that's developing a diagnostic for rapidly identifying the species and antibiotic susceptibility of bacterial infections using whole genome sequencing and machine learning. In my free time I love to travel, take photographs, and spend time with my wonderful husband, daughter, and friends. For a detailed list of my experiences, please see my CV. For a quick overview of selected research experience, see below. The HIV epidemic persists in many parts of the world, with the majority of new infections occurring through the female genital tract (FGT). The permissiveness of the genital mucosa to HIV is modulated by the integrity of the epithelial barrier, the presence of pro-inflammatory cytokines, and the frequency of CCR5+ CD4+ T cell targets. For my PhD, I sought to determine how 1) genital bacteria and 2) injectable hormonal contraceptives (e.g. Depo-Provera and Nur-isterate) modulate host inflammatory responses and HIV acquisition risk in women. 1) Genital bacteria: The existing paradigm is that vaginal monocolonization by Lactobacillus is normal, and encroachment by other bacteria is pathologic. By characterizing cervicovaginal bacterial communities in a cohort of young South African women using 16S rRNA and shotgun sequencing, we found that the majority of participants had low Lactobacillus abundance and high ecological diversity. One diverse Prevotella-containing community type strongly correlated with increased female genital inflammation and a 4x higher HIV aquisition rate (compared to women with Lactobacillus crispatus dominance). Members of the Prevotella-containing bacterial community induced genital epithelial cells and antigen presenting cells to secrete the same cytokines that we found in vivo, partially through LPS sensing via TLR4. Our results identify specific bacterial species that not only alter the inflammatory state of the FGT but more broadly impact a woman's risk of acquiring HIV, and we raise the hope of novel preventative therapeutics. Gosmann C, Anahtar MN, Handley SA, Farcasanu M, Abu-Ali G, Bowman BA, Padavattan N, Desai C, Droit L, Moodley A, Dong M, Chen Y, Ismail N, Ndung’u T, Ghebremichael MS, Wesemann DR, Mitchell C, Dong KL, Huttenhower C, Walker BD, Virgin HW, Kwon DS. (2017) “Lactobacillus-Deficient Cervicovaginal Bacterial Communities Are Associated with Increased HIV Acquisition in Young South African Women”. Immunity, in press. Anahtar MN, Byrne EB, Doherty KE, Bowman BA, Yamamoto H, Soumillon M, Padavattan N, Ismail N, Moodley A, Sabatini M, Ghebremichael MS, Nusbaum C, Huttenhower C, Virgin HS, Ndung’u T, Dong KL, Walker BD, Fichorova RN, and Kwon DS. (2015) “Cervicovaginal microbiota are a major modulator of host inflammatory responses in the female genital tract”. Immunity, 42, 965–976. PMID 25992865. Anahtar MN, Bowman BA, Kwon DS. (2016) “Efficient nucleic acid extraction and 16S rRNA gene sequencing for bacterial community characterization.” Journal of Visualized Experiments, 2016 Apr 14; Issue 110. PMID 27168460. 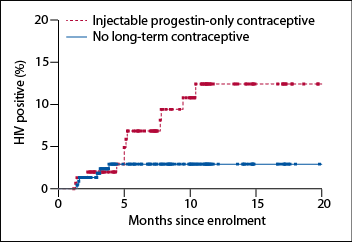 2) Injectable progestin-only contraceptives (IPCs): We also investigated the immunological effects of IPCs, the most common form of birth control in sub-Saharan Africa. Although highly effective as a contraceptive, IPCs are controversially associated with increased HIV susceptibility by an unclear mechanism. We found that IPC users had a 3-fold higher risk of acquiring HIV than women not using a long-term family planning method. Phenotypic cellular analysis revealed that IPC users also had a significantly higher frequency of activated HIV target cells in the cervix. Since the availability of target cells in the genital mucosa enables early viral replication, recruitment or retention of these cells, the association between IPC use and target cell availability may explain the observed increased HIV acquisition rates in these women. Furthermore, IPC use was not associated with differences in genital cytokine levels, indicating that cervicovaginal bacteria and exogenous progesterone increase HIV susceptibility by unique pathways. In a separate project, in collaboration with Chris Love's lab at MIT, I used their unique nanowell system to characterize immune cell subsets and cytokine secretion profiles of cells isolated from cervical biopsies. Varadarajan N, Kwon DS, Law KM, Ogunniyi AO, Anahtar MN, Richter JM, Walker BD, Love JC. (2012) "Rapid, efficient functional characterization and recovery of HIV-specific human CD8+ T cells using microengraving." Proc Natl Acad Sci U S A., 109(10):3885-90. PMID 22355106. As part of my rotation project, I made a small contribution to the elucidation of a new mechanism of T cell exhaustion and dysfunction in the gut of HIV-infected people by determining the cellular subsets expressing E-cadherin in the lamina propria. Streeck H, Kwon DS, Pyo A, Flanders M, Chevalier MF, Law K, Jülg B, Trocha K, Jolin JS, Anahtar MN, Lian J, Toth I, Brumme Z, Chang JJ, Caron T, Rodig SJ, Milner DA Jr, Piechoka-Trocha A, Kaufmann DE, Walker BD, Altfeld M. (2011) "Epithelial adhesion molecules can inhibit HIV-1-specific CD8⁺ T-cell functions." Blood, 117(19):5112-22. PMID 21403126. 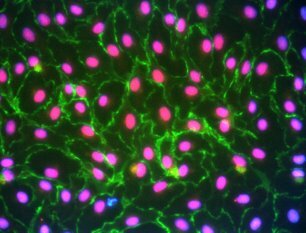 Masters thesis research: Investigated the mechanisms of neutrophil trafficking in lymphatic vessels, and examined the role of lymphatic endothelial cells in innate immunity. Elucidating these mechanisms may lead to a better understanding of tumor metastasis and inflammatory responses. Undergraduate thesis project: Chemically modified silicon nanoparticles to make them biocompatible. These nanoparticles can be hyperpolarized and imaged using MRI to identify tumors. Aptekar JW, Cassidy MC, Johnson AC, Barton RA, Lee M, Ogier AC, Vo C, Anahtar MN, Ren Y, Bhatia SN, Ramanathan C, Cory DG, Hill AL, Mair RW, Rosen MS, Walsworth RL, Marcus CM. (2009) "Silicon nanoparticles as hyperpolarized magnetic resonance imaging agents." ACS Nano, 3(12):4003-8. PMID 19950973. Designed, fabricated, and tested a microfluidic device that isolates a 99% pure leukocyte population from whole blood 180 times faster than conventional techniques while theoretically minimizing gene expression changes. The device has since been adapted as a diagnostic tool in the study of host response to injury. Sethu P, Anahtar M, Moldawer LL, Tompkins RG, Toner M. (2004) "Continuous flow microfluidic device for rapid erythrocyte lysis." Analytical Chemistry, 76(21):6247-53. PMID 15516115. Undergraduate research project: Demonstrated that the BioInstrumention Lab’s needle-free injector can be used to deliver immunologically reactive hepatitis B surface antigen (HBsAg) to stimulate an immune response in mice. These data suggest that the NFI device is a viable and potentially safer alternative to the delivery of vaccines using syringes. I also fabricated a replica of an eye to test intraocular injections and concluded that the injector can be used to deliver drugs into the eye, such as those used to prevent macular degeneration, the leading cause of blindness in the U.S.
Anahtar M. (2008) “Needle-free injectors as a sustainable alternative to syringes.” MIT International Review, 2. Undergraduate summer research projects: 1) Examined the cause of hypopigmentation in patients with Hermansky-Pudlak Syndrome-like features. Performed molecular analyses on 31 patients to search for mutations in two genes. 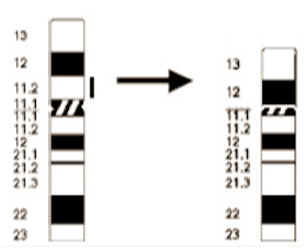 Found three patients with mutations, resulting in their diagnosis with oculocutaneous albinism type 1. Concluded that SLC24A5 is not a major gene causing human albinism. 2) Determined a correlation between serum levels of the KL-6 epitope of MUC1 and surfactant protein D with pulmonary fibrosis in Hermansky-Pudlak Syndrome. 3) Studied Smith-Magenis Syndrome, a developmental disorder that causes autism and inverted sleep patterns. Performed real-time PCR on patients to determine the breakpoints in their large deletion on chromosome 17, and searched for mutations in the RASD1 gene.